This event "Meet: Monkey Safari" @ Watergate has already ended on 03/30/2016. Here you can find upcoming events for this location! 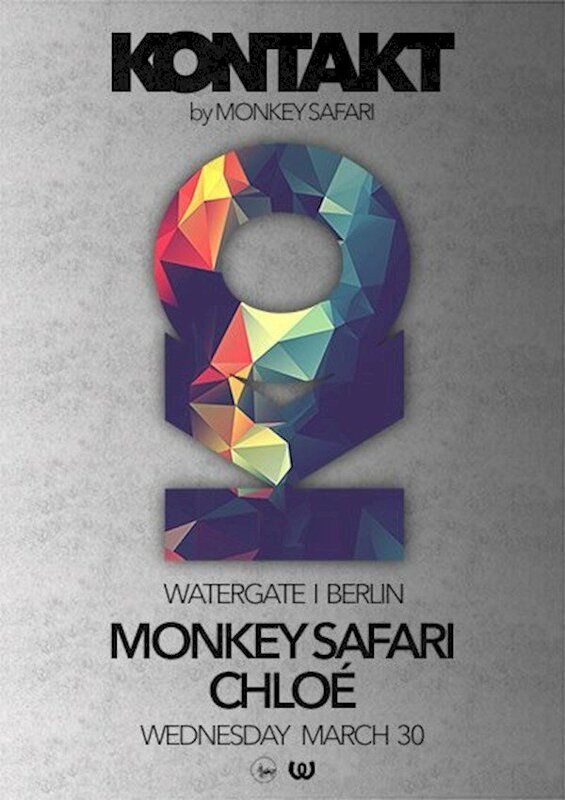 Off the back of a whirlwind 2015 including the launch of their new label Hommage and shows all around the world including stops at legendary Time Warp and Awakenings, Monkey Safari gear up to take the dance scene by storm with the release of their new EP ‘On’. Remixes by legendary techno producer Paco Osuna and Chloé have done no harm in aiding the producers growing stature on the global stage whilst helping their break into new scenes and demographics not yet familiar with their uplifting and melodic sound. Das Watergate befindet sich direkt an der Oberbaumbrücke mit einmaligem Blick auf die Spree. Wunderschöne Sonnenuntergänge werden hier mit den Sounds der besten DJs der Stadt untermalt. Von längeren Schlangen sollte man sich nicht abschrecken lassen - es lohnt sich.